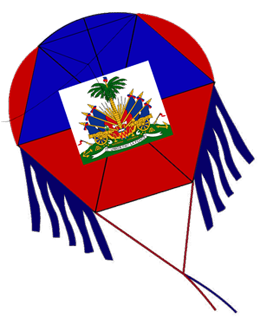 Join Kylti on August 29, 2010, for its First Annual "Fly A Haitian Kite Day" event in solidarity with the Haitian people (see locations here). At exactly 4:53 pm, people gathered from around the world will fly their Haitian kites high in the sky to remember and honor the earthquake victims. This annual event will celebrate the rising of Haiti and the Haitian people from the rubbles of this terrible disaster. Fly a Haitian kite in solidarity with the people of Haiti. All kites will be made in Haiti, and money raised will further Kylti’s arts and cultural projects in Haiti and internationally. For gathering site locations, please visit our companion Web site at: http://flyahaitiankiteday.org/kite-sites/index.php. Kylti will partner with local businesses to sponsor kites for kids to fly with the rest of the world. Kylti calls on all corporations, institutions, groups, family, friends, and individuals to join Kylti to fly a kite in support of Haiti, the Haitian people, and to remember the earthquake victims. To raise funds for Kylti’s cultural and arts projects. Why Fly A Haitian Kite? Flying A Haitian Kite not only serves to remember the victims of the earthquake, but to symbolize Haiti as a country that will rise from the rubble and its history of political, economic, and social turmoil stronger than ever. Flying a kite brings a smile to anyone who has ever flown one. This simple activity of flying a kite in the air has a therapeutic effect. The person is lost in the moment and experiences great pleasure and happiness. A kite to Haitians, and many others around the world, represent joy, leisure, family, tradition, and art. It is part of Haiti’s culture that has lost its luster, beauty, and its power to bring people together. It is a tradition that Kylti wishes to revive and bring forth the wonderful memories flying a kite created for those who remember Haiti in its glorious days. In addition to bringing back the memories of days past, kite flying is exciting, fun, and it is culture experienced in a simple activity and form. More importantly, flying a Haitian kite will help bring the Haitian Diaspora and Friends of Haiti together (adults, kids, families) and unite them. A short documentary of the project will be created from start to finish. It will show the process involved in making a Haitian kite, its production, distribution, and the simultaneous flying of the kites in several cities. No doubt that the earthquake that hit Haiti on January 12, 2010, was the biggest natural disaster of all times for this impoverished country. In less than one minute, it took the lives of more than 250,000 people, and injured hundreds of thousands. Over a million Haitians lost their homes, thousands of kids are unable to attend school because they were destroyed in the earthquake. In this tragic time for Haiti, the world came together and showed its humanity. Haitians through this unconceivable lost of lives, property, and livelihood remain hopeful, resilient, strong, and dignified. The Fly A Haitian Kite Day is a symbol of this humanity, courage, and unity. Corporations, foundations, organizations, and individuals wanting to partner with Kylti may contact us for a sponsorship packet.